November is a month of remembrance; that point in the cycle of the liturgical year when Christians remember all those who have gone before us into eternal life. This evening, the All Saints’ community will celebrate a Solemn Requiem in remembrance of all those of our parish who have recently died. Customs of commemoration and praying for the souls of the departed can be traced back to pre-Apostolic times; the Jewish people prayed for the eternal rest of the deceased’s immortal souls. The Requiem, Mass for the Dead, or the Missa pro Defunctis (Mass of the “Finished”), is traditionally observed on November 2, and at the time or anniversary of one’s death or burial. The term Requiem is taken from the text of the Introit chant, “requiem aeternam dona eis” (rest eternal grant unto them), and is applied both to the liturgical celebration and the musical genre. The prescribed texts of the Requiem have been sung to various styles of music over the centuries. The use of Gregorian chant melodies is among the earliest surviving examples and still in use today within a liturgical context. The dramatic text of the chants inspired larger scaled works that are on par with choral Mass settings, cantatas and oratorios. Composers began writing polyphonic settings around the fifteenth century, larger choral settings that incorporated instruments were written after 1600. By the nineteenth century, composers wrote Requiems that employed musical forces that are more concert-type works. During the twentieth century, Requiems have been written that deal with the subjects of death and mourning but have less religious or liturgical relevance. During our Solemn Requiem for All Souls, the Senior Choir will sing a Requiem setting by Eleanor Daley (b. 1955). The texts Daley selected for her Requiem incorporates portions of the traditional Latin text, passages from Scripture, texts from the 1662 Book of Common Prayer and the poetry of Carolyn Smart. Daley was born and raised in Parry Sound, Ontario, Canada. She holds a Bachelor of music degree in organ performance from Queen’s University in Kingston, Ontario, and diplomas in piano and organ from the Royal Conservatory of Music, Toronto and Trinity College, England. She is currently the Director of Music at Fairlawn Avenue United Church in Toronto, Ontario, works as a freelance accompanist and conducts choral workshops throughout Canada and the United States. 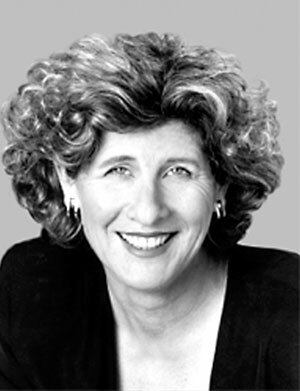 Daley is a prolific composer who is admired for her sensitive interweaving of text and music, has hundreds of published choral compositions and whose works are frequently performed, recorded and publically broadcast. She has received numerous commissions and awards, including the National Choral Award for Outstanding Choral Composition in 1994 for Requiem. Click to subscribe to All Saints' Episcopal Church - Friends of Music and receive notifications of new happenings by email.